SAP, Oracle, and Microsoft Dynamics are the three leading vendors for ERP solutions in the market today. While the debate as to who is the best player of them all is least likely to be settled anytime soon, there are starking differences between the three platforms in terms of the operations' ease and simplicity, the functionalities, etc. SAP for the larger enterprises is a one-stop-shop. But, what the software giant faces today is the challenge of convincing the small and medium businesses that they require SAP in all its complexities, and costs, and risks. SAP has always been a favorite for the global and more complex organizations for meeting their ERP needs, and it is less likely to lose the spot anytime soon. SAP implementations are relatively smooth and there are minimum cost overruns that come out of implementing solutions with it. SAP has always relied on in-house development to roll out new features and updates, a fact that results in a consistently and seamlessly integrated product. SAP is considered to be a great platform with effective training material, but it will pose a need to reach out to someone else to get the customizations done. If you are not the one who believes in third-party applications and integrations for better-performing systems, SAP is not the ideal ERP platform for you. SAP is overall a little costly, but an intuitive platform with business intelligence features like dashboards, data storage, and report building. Oracle ERP has followed a completely different approach to developing its platform. While SAP relied on its own power, Oracle went out and acquired high-end providers and brought them into the ERP environment. These are some of the companies that have been picked by Oracle in the last decade or so, to add new tools to the suite- NetSuite, MICROS, PeopleSoft, and Taleo. While Oracle costs more to be installed, it comes with a higher success rate over SAP and Microsoft as customers are usually happy with the final product. Reviewers of Oracle on 'software advice' are a fan of the ERP platform's flexibility and focus and say that it is the best choice for a mid-sized company. Some strengths of Oracle's ERP include integrating several modules into one, seamlessly, track inventory levels at your organization, and automation of several business processes that might even shun the need of manual entry of data. Coming on to Microsoft Dynamics, the ERP system makes syncing with other Windows business applications a cakewalk, and allows for the smooth transfer of information across all office applications. Microsoft Dynamics provides standout collaboration features with other Windows OS applications and makes information sharing easy and smooth. As Microsoft Dynamics is built on the Windows system, it makes easy to implement it in lesser time. Microsoft Dynamics supports large businesses that operate in multiple countries around the world with multi-lingual and multiple currency support. While Microsoft Dynamics was once considered a system that suits small and large businesses alike, it has now evolved to fit for the global businesses more readily. 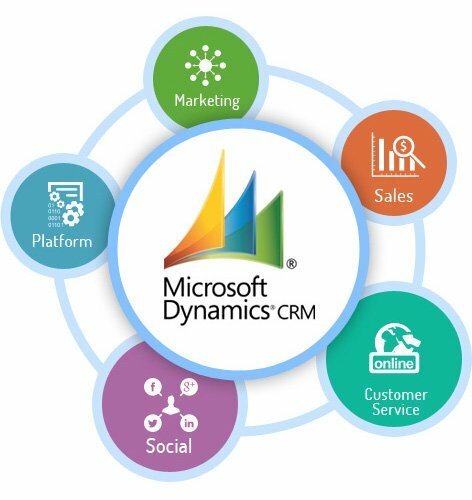 However, the Windows-resembling look and feel that gels up well with medium businesses, could be a reason for the growing popularity of Microsoft Dynamics. Organizational change management and business process re-engineering are two factors that might well affect the success of each of the platforms in the near future.